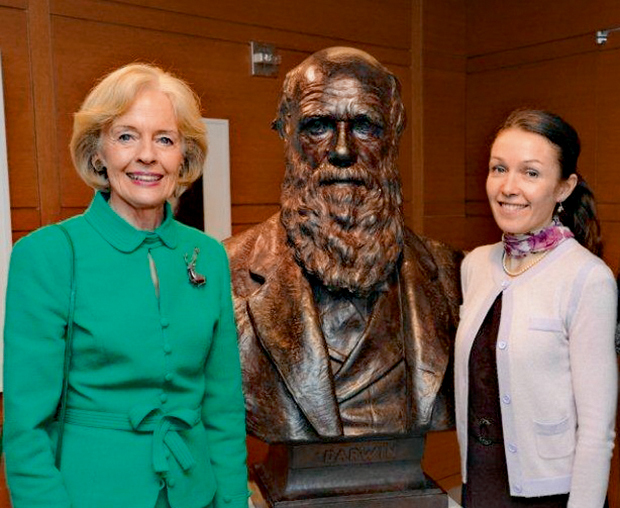 Dr Jennifer Henry with then Governor-General Quentin Bryce during her visit to the New York Academy of Sciences in 2013. Dr Jennifer Henry has recently been appointed to the University of Melbourne Alumni Council. Established in 2011, the Council draws on the cultural, academic and professional diversity of the alumni community and works to encourage greater communication between alumni and the University. With an interest in science and later, the environment, Jennifer turned her focus towards agriculture when she realised that Australia had a key role in alleviating world hunger. After graduating from the Faculty of Agriculture and Forestry (now Melbourne School of Land and Environment – MSLE) with a BAgr (Hons) in 1990 and working for the Victorian Department of Agriculture for several years, Jennifer returned to the University and completed her PhD on the genetic modification of peas in 2001. Jennifer remains a strong advocate for encouraging young women to pursue studies in science – both at a secondary and tertiary level. A proud supporter for the University, Jennifer has held positions as Scholar in Residence at Mentone Girls’ Secondary College, participated as an ambassador for agriculture on Open Day, and given guest lectures at the University of Hawaii, University of Seattle and University of Illinois at Urbana- Champaign, amongst others, on career development and opportunities for female science graduates outside academia. She has held positions in Australia in government, private industry and the CSIRO (CSIRO Publishing). In 2008, she moved to New York City to take up a position as Executive Editor with the Nature Publishing Group, before joining the New York Academy of Sciences as Director, Life Sciences. Currently residing in New York, Jennifer is deeply passionate about promoting teamwork and relationships between students, alumni and the University. ‘The University of Melbourne has a strong culture of collaboration, and I got to work with some great people during my PhD studies. I like the American work ethic of devoting time in order to help others,” she said. Actively involved in alumni networking events in New York City, Jennifer is jointly the MSLE and US alumni representative on the Council.